When a friend posted about free admission at Winterthur on July 4th, I jumped at the opportunity to tour the Delaware Museum for free. Literally – I had those kids in the car in 15 minutes! Despite being close to the Delaware Natural History Museum, a favorite stop when I was homeschooling my oldest son, we had never ventured up the road to see Winterthur. We/I missed out on so much! Where to begin? Let’s start with the DuPonts. Henry Francis du Pont opened his childhood home and collections to the public almost 60 years ago. The 175 room house holds almost 90,000 objects made or used in America between 1640 and 1860. The 1,000 acre preserve surrounding the museum were designed by DuPont, a horticulturist. We started our visit with a semi- self-guided tour of the Winterthur mansion with guides in each of the rooms on the tour. The tours start every 3 minutes so be prepared to wait a little if it’s a busy day. As you can see, it’s okay to take pictures inside the mansion without a flash, just no videotaping. My 7 year old son used my iPhone camera to capture all the likenesses he could find of George Washington. 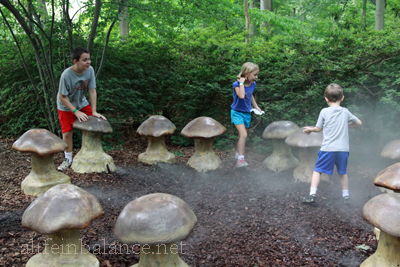 After our tour, I persuaded the kids to walk up the hill to the Enchanted Garden. Even though they loudly proclaimed being ready to go home, the kids loved hanging out in the shady Enchanted Garden. 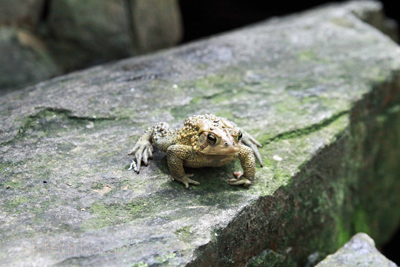 When we first saw this toad, I truly thought he was a statue, he was that still. Then I noticed his breathing. Surrounded by breathless children and parents, we watched as he slowly stalked an earthworm. Unfortunately, the earthworm didn’t cooperate. 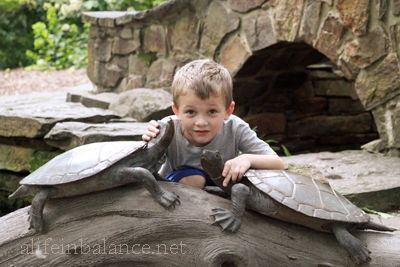 These turtles are not real, though my turtle-loving son was thrilled to find them in the Enchanted Garden. When the kids were ready to go, we took the Garden tram back down to the Visitors Center where I promptly signed up for a family membership. On July 4th, memberships up to the family level were half price, meaning I only paid $42.50. The Visitors Center has a cafe and very large sitting area. Members get a discount at the cafe. Garden trams and the museum shuttle bus are wheelchair and stroller accessible. 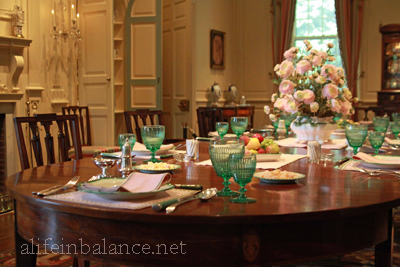 All tours of the house require reservations and are presented by guides who are happy to engage visitors of all ages. In many cases, babies and strollers are welcome! Last tour tickets sold at 3:15 pm. Last tour is at 3:30 pm. 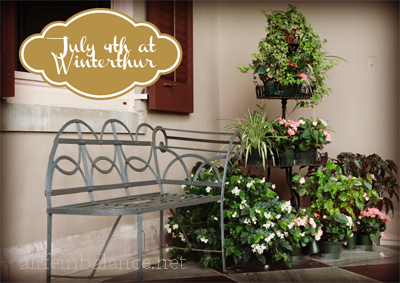 Winterthur is beautiful! The enchanted garden is so well done and fun to play in. We love having a picnic under all those pretty trees. It’s been a while – I need to fit this in our summer schedule. Great pictures! Sounds like a fun tour! But then again, I’m a history geek I love the garden, beautiful! Loved the pictures and all that you shared, added to my list to take my son there! Looks like such a fun time! I love your up-close frog photo! This looks so beautiful! I would love to see it in person. I have enjoyed following your family trips on the blog. I am going to add this to the list of places we need to check out this summer. Thanks fr haring your good time with us. I didn’t even know about the mansion! Looks like a great day. Thanks for the info.